In 2018 & 2019 Basunti’s Yoga program continues to expand. Clare Kerrigan & Karen Heras-Kelly and Lara Dwyer have joined us in 2018. We welcome Stephanie Aulestia & Nathalie Luce who will be leading their first retreat at Basunti in March 2019 while Tanja Mickwitz will lead her first retreat at Basunti in September 2019. Katie Warnes will be joining us in the autumn of 2019. They join returning teachers – Monica Voss, Sandra Sabatini & Michal Havkin, Duncan Hulin & Andrea Guest, Bridget Woods-Kramer, Sheila Baker, Amy Landry, Heather George & Jean-Claude Rawady, Joyce McMiken & Marcos Rodriguez, Bristol Maryott, Helle Lumbye, Wendy Loughlan, Su Sareen and Lucy Roberts. To find out more about the varied and different programs available, follow the links in the schedule below or email us via the Contact Page (or email us on info@basunti.com). Basunti also continues to welcome inquiries from Yoga teachers who would like to hire Basunti for their own groups and yoga retreats. If you are a teacher wishing to enquire about future availability, please e-mail us. Known for her authentic voice and speaking from the heart, Tanja weaves yogic principles and life understanding into a journey of creative flow and intelligently progressed asana. Her Soulful Vinyasa classes serve as an inspiration and support for life, with asana as the playground and metaphor. Tanja creates a nurturing space for exploration of the internal landscape and inner growth whilst challenging the physical edge with a safely led dynamic practice. Tanja is also an engaging storyteller and teaches regular Mythical Flow classes where she weaves in the Indian deities, their stories and symbolism into the practice. 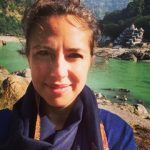 Tanja is a Lead Rasa Yoga Teacher and currently running the first Rasa Yoga 200hr Teacher Training in London. In addition to being one of the senior teachers at The Life Centre, Tanja has also served as a mentor and teacher trainer for Yogacampus 2012-2018. 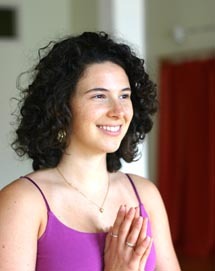 Tanja continues to be guided and inspired by Rasa Yoga founder and visionary Sianna Sherman in her studies and teaching. She has also studied with Para Yoga founder Yogarupa Rod Stryker since 2005. Tanja is registered E-RYT 500 with Yoga Alliance US and registered Senior Yoga Teacher with Yoga Alliance UK. Stephanie is a Yoga Alliance, 500 hours registered yoga teacher. Having lived in Paris and Brussels, she now lives near Geneva. Studying with internationally renowned yoga teachers, she was exposed to various styles and approaches to yoga. With years of practice, she has gravitated and settled in the Vinyasa style yoga for its creativity and infinite rhythmic variations, while keeping precision in alignment. She also embraces Yin Yoga, which blends yoga with meditation and Traditional Chinese Medicine. Stephanie has a background in Shiatsu & Thai massage and remains a lifelong student with an appetite to know more about human body & soul. She likes to fuse all her knowledge into her teaching in order to sensitize students to feel and promote the flow of natural energy throughout the body. Her classes are both dynamic and restorative yoga asana in a joyful vinyasa style. 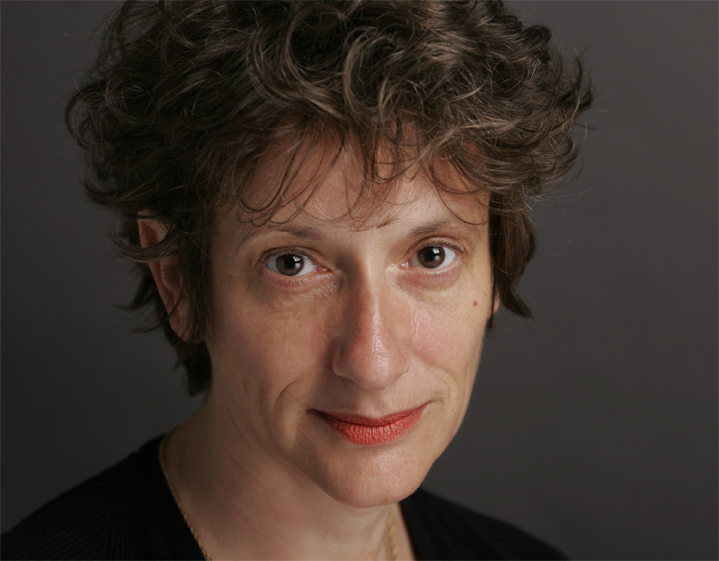 Susan Hopkinson and Elisabeth Grigorianz-Rivasseau. After discovering yoga in Toronto in 1985 and practicing with outstanding teachers like David Swensen, Esther Myers, and Mary Stewart as well as many lesser-known but excellent teachers around the world, Susan began teaching in 1998 following her first yoga teacher training with the late Derek Ireland in Goa, India, in 1997. She qualified as a yoga therapist with the Yoga Biomedical Trust in London (now organised through Yoga Campus) and with Mukunda Stiles, both in 2007. 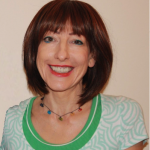 Susan has also studied Ayurveda and Yoga Therapy with David Frawley, A.G. Mohan and Vasant Lad. 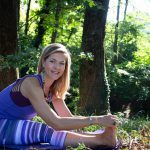 Susan empowers her students to take a holistic approach to self-realisation, and her work involves individualised yoga or mindfulness-based therapy (in the spirit and tradition of her longtime teacher, Thich Nhat Hanh), distilling Yogic, Tantric, Buddhist and Ayurvedic philosophy into her teaching and counselling. She also offers natal chart interpretation and astrology-based counselling as a professional astrologer. Elisabeth discovered yoga in 1995. She became a yoga teacher and certified therapist with IAYT (International Association of Yoga Therapists) and IYT (Integrative Yoga Therapy). Her wish is to help you integrate yoga into your daily life in order to discover all the benefits. Trained in Washington, DC, and Paris, she specializes in the management of stress, anxiety and trauma by offering self-regulation techniques incorporated in the practice of yoga. 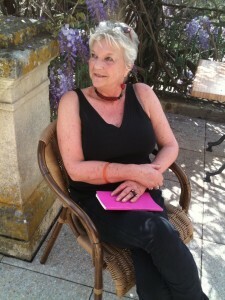 Elisabeth is French and offers bilingual courses FR / AN and also speaks Spanish. Bridget is Anusara’s UK representative and main certified Anusara teacher having studied with John Friend, the founder of the Anusara school of Yoga since 1994. 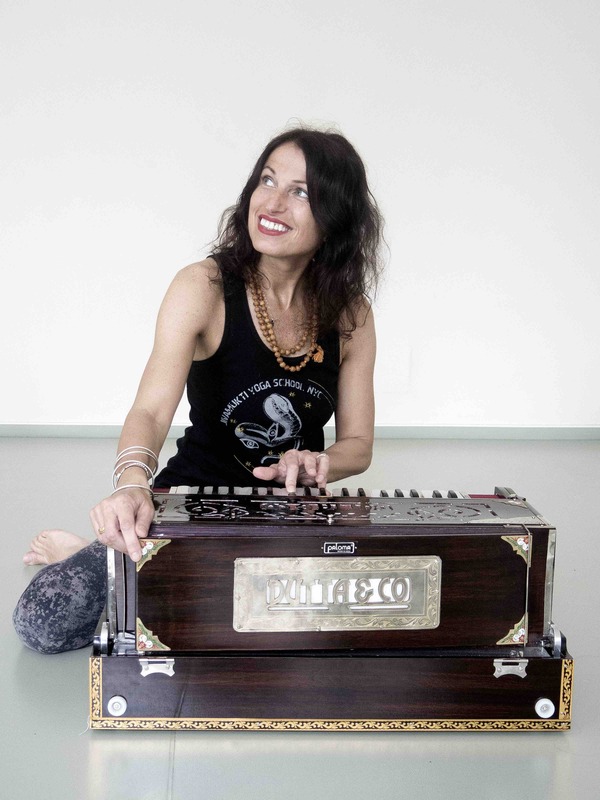 She travels all over Europe giving Anusara immersion workshops, Teacher training’s, and in depth study courses. Anusara Yoga is a uniquely integrated approach to Hatha Yoga in which the art of the human spirit is powerfully blended with the science of bio-mechanics. Anusara means ‘Flowing with grace’ (going with the flow, following your heart). Nominated for Business women of the year and a leading light in the fitness industry for more than two decades Bridget launched one of the UK’s leading fitness facilities and Health Spas, ‘The Fitness Centre’ as well as world renowned and ground breaking day spa, ‘The Sanctuary’ in Covent Garden.Bridget is known for her dynamic style of teaching with close attention to alignment detail. She is extremely dedicated to the many students of all abilities who attend her classes. Bridget returns to Basunti every year to lead Anusara based 10 days retreats. Sheila Baker has been studying and teaching yoga for over 30 years. 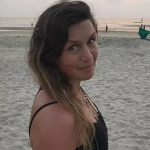 She is a registered BWY and aYs senior teacher and trained as a Viniyoga teacher with TKV Desikachar in Chennai and UK, and with Paul Harvey in UK. She is currently studying with Peter Hersnack in France and UK. Sheila is also a designer and has taught design undergraduates at several universities for many years, with special interest in colour and symbolism. Sheila’s retreats are theme-based and use postures, breath, chanting and imagination (bhavana) to deepen and focus in a meditative way. 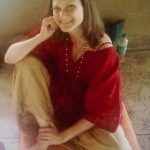 In addition to regular retreats and classes in the UK, Sheila has facilitated retreats in Mysore, south India, during the last 12 years. For further information about Sheila and courses and other activities which she currently runs please click here. Joyce McMiken and Marcos Rodriguez are KPJAYI authorized teachers and run a daily Ashtanga Mysore program in Covent Garden, London. They made their first trip to Mysore, India in 2008. Since then they have returned annually to practice with their teacher Sharath Jois. In addition to running a daily Mysore class they teach classes in the leading yoga centers in London, teach private clients and offer retreats worldwide. When you meet them you will realise that they are passionate about sharing this system of yoga according to how it is taught in Mysore. They have an interest in yoga that reaches way beyond the asana practice. Together they encourage people to look beyond the external form of the practice. Joyce is also an advanced R & R Restorative Yoga Teacher and is currently studying a Master’s Degree at SOAS in Traditions of Yoga and Meditation. Sandra Sabatini, is one of the foremost teachers of the Scaravelli approach to Yoga. Sandra studied with the legendary Vanda Scaravelli, author of Awakening The Spine, for some 17 years and has been teaching internationally for some 20 years. It is Vanda Scaravelli’s gift of yoga with its emphasis on breath, gravity and the spine that is at the heart of Sandra’s unique teaching style. Through its simplicity and subtlety it brings students to an inner stillness that enables a deep unwinding of the tensions that so often hold us back, both mentally and physically. Sandra, who is the author of two books, Breath: The Essence Of Yoga and Yoga Through The Seasons, has taught every year at Basunti since it opened in 2005. A recent account of her 2009 visit entitled “Surrounded by Beauty” was published in Yoga & Health magazine. For more information about Sandra visit her website. 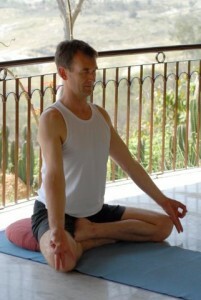 Duncan Hulin, MRSS, IYC, YRT, is the principal teacher, founder and director of the Devon School of Yoga. He is a practising yoga teacher, yoga therapist, Shiatsu practitioner and is qualified in Ayurvedic Foot Pressure (Chavutti Thirumal) massage. Duncan healed himself of asthma using yoga therapy and has now been practising yoga for 40 years and teaching for the past 34 years. In the early eighties, he spent three consecutive winters in South India studying with the late Dr. B. P. Pillai, former director of the Government recognised Yoga Therapy Foundation, Trivandrum, Kerala. 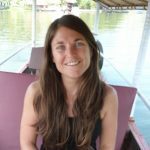 Following a career as a food technologist, Heather trained to be a Yoga teacher in India and later in the UK. She is now a Yoga Alliance UK Registered Senior Yoga Teacher with diplomas in Hatha Yoga (500Hrs +), Yoga Therapy, Pre and Post Natal Yoga, Anatomy & Physiology, Life Coaching and Pilates. Heather has been teaching Yoga for over 15 years and has developed a successful business in Yoga and health specializing in mindful Yoga, meditation and chakra journeys. Her background in nutrition, healing and Life Coaching has enabled her to develop an intuitive approach and awareness of both the physical and spiritual wellbeing of students. This allows her to tailor their practice and take a holistic view of other lifestyle, diet or remedial action that may benefit them. 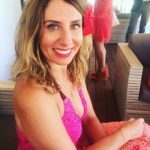 She provides classes in Yoga, Pilates, Meditation and Stress Management to Spas, health centres, schools plus corporate and private clients for all levels including for those needing a remedial or therapeutic approach. She also runs workshops and retreats in the UK, France & India, is a contributor to Yoga and health magazines and has taught at the Yoga Shows in Olympia and at International Yoga Festivals in Egypt and Jordan. Heather is actively encouraging the expansion of mindfulness mediation in schools. Heather’s ethos is to make Yoga and Meditation fun and accessible to all. She encourages students to practice in a mindful way so they experience the most spiritual, emotional and physical benefits. Janet Balaskas is internationally renowned for pioneering the concept of ‘Active Birth’ in the late 1970’s and since then, inspiring mothers around the world to take an ‘active’ rather than a ‘passive’ role in their birthing. Thousands of women, babies and families have have had their birth experiences – and their lives – enhanced by her guidance. Her body centred style of teaching has inspired a revolution in prenatal education and maternity care. Janet works at the Active Birth Centre in London which she founded in the 1980’s. She also travels extensively across the world to teach professionals and train Active Birth teachers, most recently in Brazil where her work has had considerable impact. Her unstoppable drive to enable women to confidently follow their instincts, continues to fuel the global spread of Active Birth. 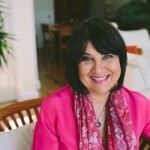 She is the author of the best selling ‘New Active Birth’ and several other ground breaking publications. Janet is the mother of four children, and has five grandchildren. It was through her research as a mother that she first understood that the natural processes of birth require a woman to be actively engaged with her body and upright. The essence of Janet’s message is simple and clear; the key to an easier, spontaneous birth is that the mother is undisturbed, able to move freely and instinctively during labour, and to be led by her body. Amy was awakened to yoga almost 9 years ago, beginning with a consistent, devoted practice of Hatha Vinyasa yoga. The practice aided not only in the long awaited recovery of numerous injuries, but it created the space for internal growth, mental purification, and was the catalyst to eliminating a lifelong battle with respiratory and immunity issues. Her mission is to show women how to create deep-rooted change, by balancing their body’s intelligence and transforming their daily living. Ultimately, all of Amy’s work is about helping people reframe the way they structure both their yoga practice and everyday routine, to experience alignment with the principles of nature and their own bodily wisdom. I started both Yoga and travels in Asia at age 21, with a desire to know more of the world, both inner and outer, than seemed possible from where I stood back then, in the suburbs of Brisbane, Australia. Seventeen years later, these are still my primary interests and the unfolding that is Yoga my greatest passion and curiosity. And now life, in her generosity, let’s me share both with others. Since 2001 I’ve been running retreats, leading workshops and classes, and working as part of the Yoga Arts team to prepare and present Level 1 & 2 Teacher Training Courses in Bali, India, Sri Lanka, Japan, Australia and the Middle East. My practice, and therefore teaching, seeks to nourish and enliven body, mind and heart in equal measure. For the body – both dynamic and restorative yoga asana in a fluid vinyasa style, and guided movement/dance meditations; for the mind – meditation, pranayama, mantra, and the philosophy that binds them all together; and for the heart – sweet music, kirtan, puja, community, and the aspiration to align my life and will as much as possible to that which feels like wisdom and love. Gratitude beyond measure to all teachers, guides, and friends-upon-the-way, and to the timeless teachings of all the great wisdom traditions, particularly Hindu and Buddhist. Special mention must include Louisa Sear, Rose Baudin, Clive Sheridan, and beloved South Indian saint Sri Sakthi Amma who is slowly but surely teaching me what Love is. 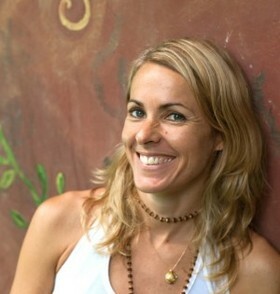 Bristol Maryott is the owner of Jala yoga studio in Providence, RI, USA. She is an Advanced-Certified Jivamukti and prenatal yoga instructor with over ten years of experience teaching yoga. She travels to India regularly where she practices with Saraswathi Jois in Mysore. Bristol’s practice and teaching is informed by the light and grace of her teachers, Sharon Gannon and David Life. Bristol holds an MA in Art History from the Courtauld Institute of Art in London UK and graduated from Yale with a BA in English. 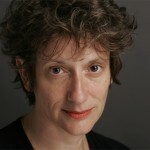 She has worked at Sotheby’s in London and the Museum of Fine Arts, Boston. Bristol believes that art and yoga are complimentary disciplines exploring consciousness and she wanted to create a space where yoga practitioners could both inspire and be inspired by art. Petra is a certified Vinyasa yoga (South Boston Yoga) and Jivamukti Yoga (NYC) teacher. Practicing yoga since 2001, Petra is known for her unique self expression (never forgets to smile); her classes are spiritual & inspirational where she connects the physical and mystical aspects of yoga. 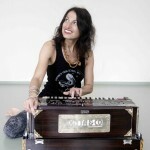 She teaches a strong flow of Jivamukti Vinyasa (linking movement with breath) while playing spiritual and uplifting music. With the help of scripture, chanting, meditation, and intentional breathing – we begin to align the body, mind and spirit to create the inner journey towards healing and empowerment. Petra celebrates the yoga teachings in everyday life. Wendy holds a Sports Science and Environmental Science Degree MSc (hons), is a Yoga Alliance 500hr RYT yoga teacher and ultimate student of life. She has been practicing yoga for 14 years. Wendy is a visionary artisan who weaves Anusara yoga alignment, mythical, dynamic yoga flows, tantric philosophy, mudra, mantra, meditation, pranayama, soul quests, somatic movement and practices which embody consciousness through invoking the great elements of Mother Nature. She awakens shakti, wild hearts, treasured Souls and optimal energy channels of her dedicated students.